Our goal is to do what’s best for your practice. Often a simple memory upgrade or hard drive replacement is all you need to keep your practice running. There are times however that more complex repairs or upgrades are necessary, we can handle it all. From laptops to servers, nothing is too complex. Ready to simply replace a system? We can handle that too. From planning and building the system according to your needs, we’ll move all of your settings, documents, etc. and set up your new system just like you want it. Need us to re-install certain programs*, we can do that as well. If you’re still running Windows XP you’re putting your practice and your patients information at risk of compromise. We can help! 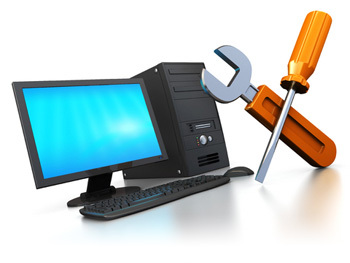 Some systems are capable of being upgraded to a newer operating system while others will need to be replaced. We can tell you with a quick visit what your options are. We follow all of the CMS HIT guidelines for HIPAA compliance. Don’t trust your most sensitive patient data with just anyone, call the experts in their field- AZ Health Systems 480-359-2323. *Please note: programs must be legally licensed to you according to the terms and conditions from the software developers.